he PZ2TX is a streamlined swimskin built off a decade of design and testing in the non-wetsuit arena. Hydrophobic energy fabric provides an excellent fit, great coverage and exceptional speed in the water while welded seams further reduce surface drag. Biomechanically engineered compressive properties drastically lower wave drag and boost performance.The locking zipper allows you to slip through the water and transition with ease. ** IRONMAN (WTC) specifies a water temperature of 76.1F (24.5C) as the cutoff for wearing a wetsuit. ** USA Triathlon (USAT) specifies a water temperature of 78F (25.5C) as the cutoff for wearing a wetsuit. 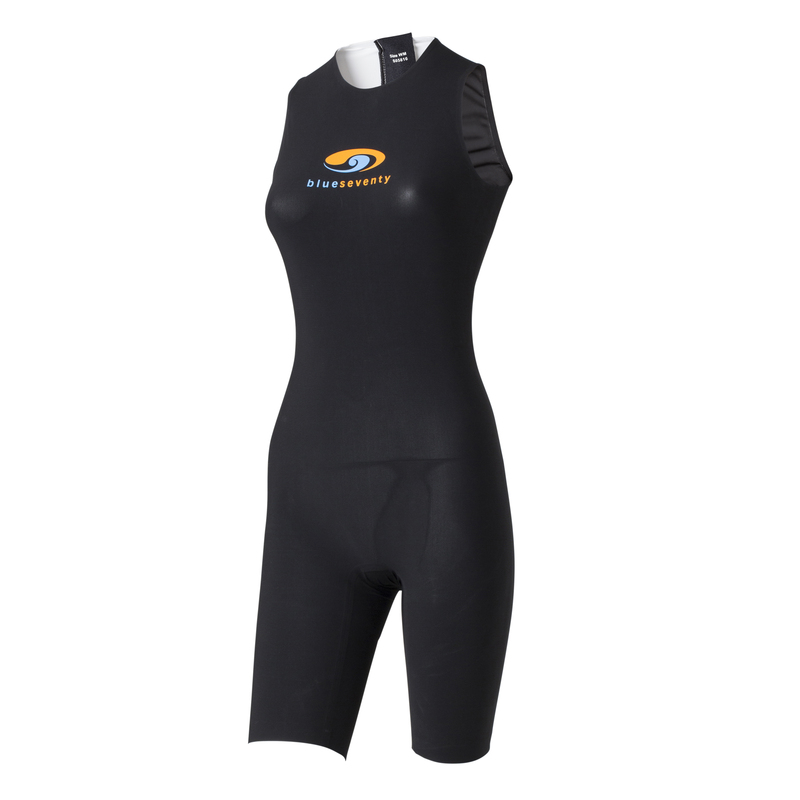 Related links to "blueseventy PZ2TX Swimskin W"
Customer evaluation for "blueseventy PZ2TX Swimskin W"